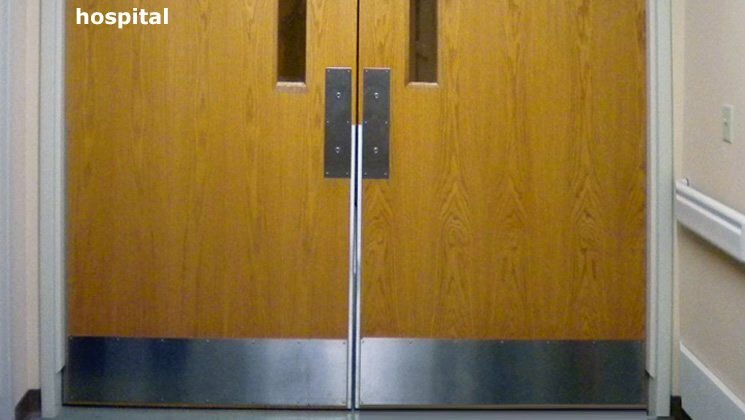 Custom made solid metal kick plates to protect doors from marring or damage from foot traffic. Crafted for Commercial use, our KickPlate MX™ is built tough. 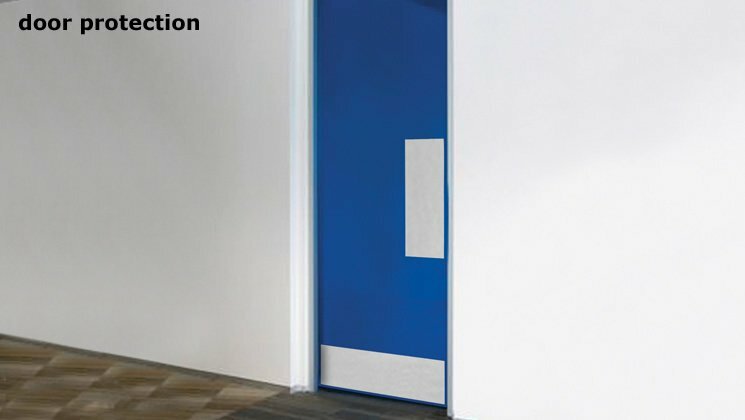 Several size choices to accommodate different types of doors. 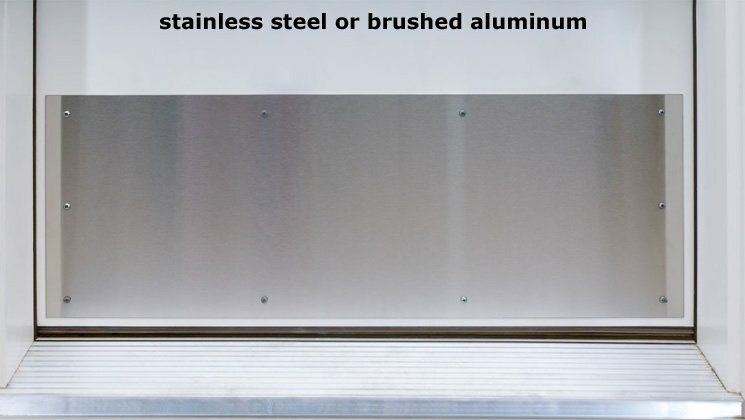 Several metal choices are available to suit your aesthetic requirement. 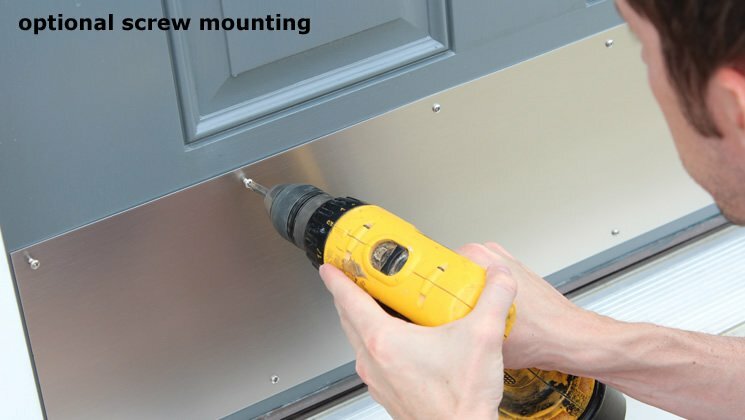 Install with your own construction adhesive or alternatively via screw mount. 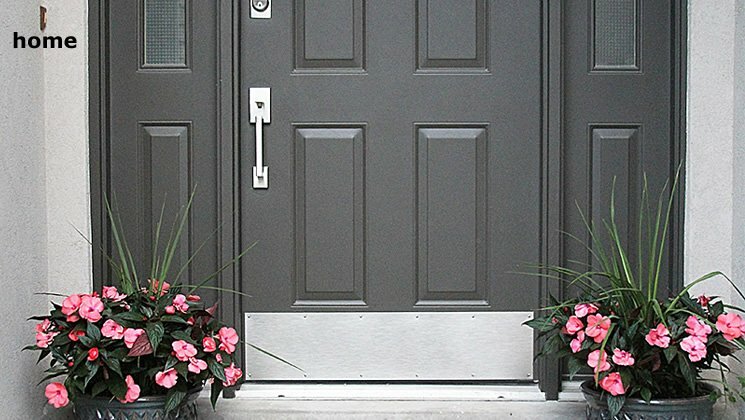 Helpful Hint: Order your KickPlate MX™ two inches shorter than the width of your door, so that it does not interfere with the door jamb when closing. 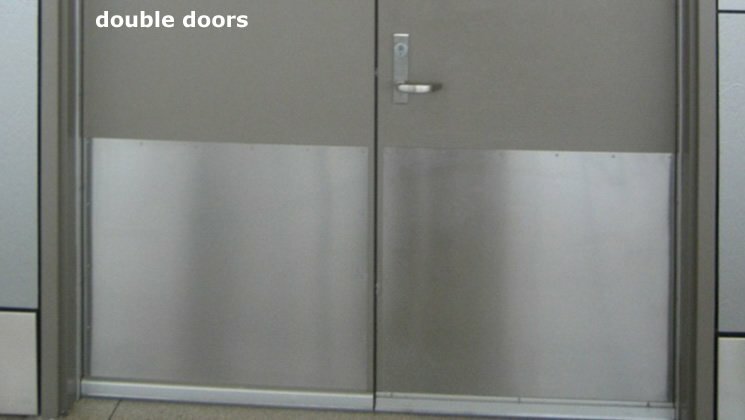 I am very satisfied with the look & quality of the product, not to mention the ease of the self-adhering installation. You offered the most selection of sizes & styles and your prices were very reasonable. I appreciated the email updates regarding my order status. I will definitely use your company again in the future. Everything was great!